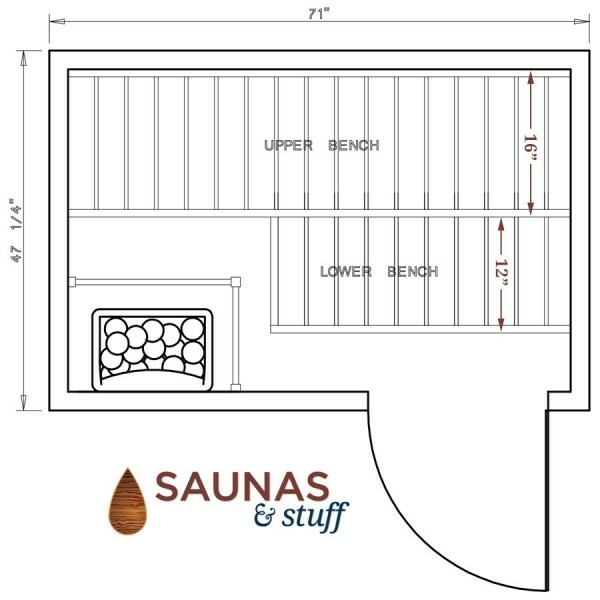 Minimum height required to install sauna is 80 5/16"
The HARVIA 4 x 6 Essential Sauna is an affordable solution for the sauna bather that Is looking for a great value. 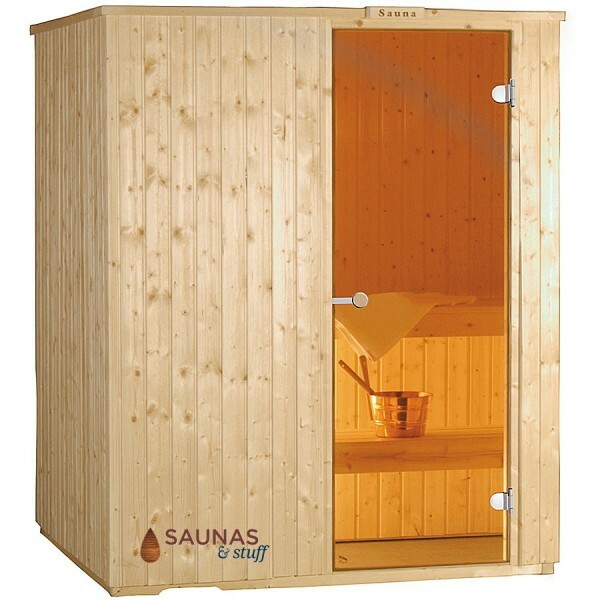 This 1 to 2 person sauna comes with insulated modular wall panels and ceiling panels. It has an all glass door with a bronze tint that is 8mm thick The all glass door makes the sauna very spacious, It is made of a Northern spruce wood that has been used in saunas around the world for centuries. The sauna comes with complete with 2 benches, sauna lamp, copper bucket and ladle, heater guard and a thermometer. 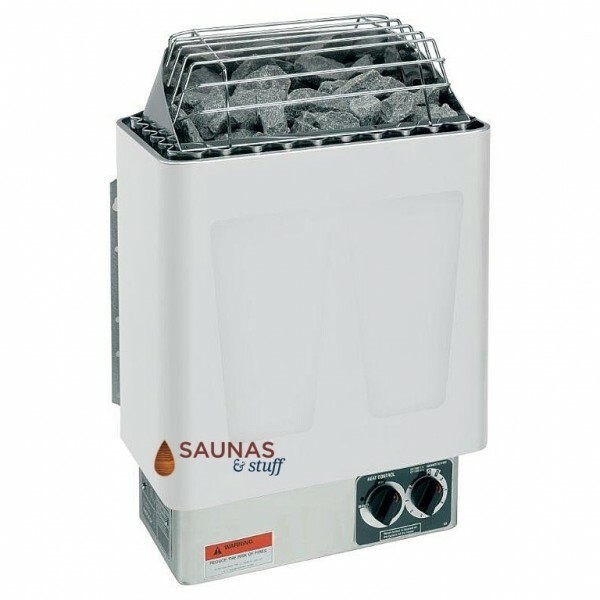 To heat up the room, the Harvia KIP-45B all stainless steel sauna heater is included with the package. It features a 1 hour run timer with a 9 hour delayed start preset and adjustable thermostat allowing you to enjoy the proper bathing temperature. It is 4500 watts of output and requires 240 volts. This traditional sauna heater allows the ability to sprinkle water on hot stones for intense steam burst. 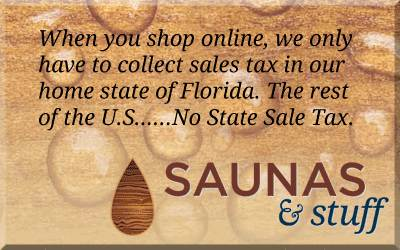 When shopping on a budget, this sauna is a great value at an affordable price!